Vinciguerra, a founding editor of the The Week magazine and frequent contributor to the New York Times, GQ, Newsday and other publications, told TCR that he was drawn to Wolcott Gibbs because "he wrote with such bracing honesty and utterly arch, debonair humor that you could practically see him cocking his eyebrow with disdain as he dissected his subjects...He’s always been something of a footnote, albeit a major one, in histories of The New Yorker and its huge cast of characters, and I thought he deserved better." Gibbs said that he could take on any subject except "women's fashions and horse racing." During his thirty years at The New Yorker he wrote for nearly every department of the magazine. He covered the press, nightlife, and books. He reviewed films, wrote fiction, and was for many years The New Yorker's chief drama critic. Selecting the best work from such a huge volume of material was a challenge. "I did want to include at least a few pieces from every major genre that Gibbs wrote in," Vinciguerra explained to TCR. "In the end, I was probably too liberal; the book came out to about seven-hundred pages. Still, I tried to be ruthless, and generally I included only work that in my biased opinion was superior or memorable. The exceptions were pieces that had some historic or novelty value like Gibbs’s very first published New Yorker item, which rendered certain Biblical episodes in tabloid headline form, and his review of the Abbott and Costello movie Here Come the Co-Eds." As to particular favorites among Gibbs' work, Vinciguerra says "I have to answer by choosing examples from his many different types of writing. From 'Notes and Comment,' I’d give high marks to his profoundly disturbing thoughts on what Nazi Germany’s invasion of Poland will mean for the world...Tops among his profiles are his dissections of [New York governor and Republican presidential candidate] Tom Dewey as ruthlessly ambitious and ultimately preposterous; [Gibbs'] friend [actor] Burgess Meredith as highly talented yet vaguely inexplicable; and [fellow New Yorker writer] Alexander Woollcott as a self-centered hack and blowhard. If you’re talking about his comic casuals and short stories, I would go for “Mars,” about his days in the Student Army Training Corps during World War I, and “The Courtship of Milton Barker,” which deftly combines such disparate and unlikely elements as lechery, the Long Island Rail Road and a caged lion." Vinciguerra takes the title of his book from Gibbs' most noted piece of writing, a 1936 parody of Time magazine called "Time...Fortune...Life...Luce." In what is otherwise a factual review of the career of Henry Luce and his publishing empire, Gibbs sends up Time's signature style. 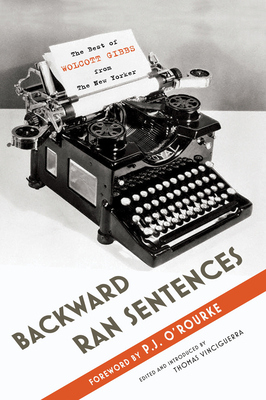 He skewers the odd syntax used by Time with the line "Backward ran sentences until reeled the mind." The piece ends with -- "Certainly to be taken with seriousness is Luce at thirty-eight, his fellowman already informed up to his ears, the shadow of his enterprises long across the land, his future plans impossible to imagine, staggering to contemplate. Where it all will end, knows God!" Gibbs was born in Manhattan in 1902 to a long established Connecticut-New York area family. He was a direct descendant of President Martin Van Buren and signer of the Declaration of Independence Oliver Wolcott. When Gibbs was six years old his father died. Taken away from his alcoholic mother and placed in the custody of relatives, he spent the remainder of his unhappy childhood moving from one boarding school to another, always an unruly student. He never attended college. As a young man he worked as a brakeman for the Long Island Railroad. Through the intercession of his cousin, the writer Alice Duer Miller, Gibbs got a job as a general reporter for a chain of small Long Island newspapers. In 1927, again with the help of Miller, he signed on with The New Yorker and never left it. "The New Yorker was his rock, and its staff members were the nuclear family he never had," Vinciguerra told TCR. "I don’t think it’s an exaggeration to say that [New Yorker founder] Harold Ross was his surrogate father, giving him the approval and encouragement he never quite got growing up." A heavy smoker and sometimes incapacitated alcoholic, Gibbs died suddenly in 1958 at age fifty-six. A lung ailment was the official cause of death but friends and family members suspected suicide. 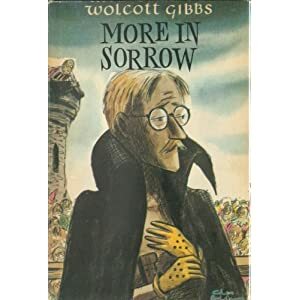 At the time of his death, Gibbs had just completed putting together More in Sorrow, a collection of his previously published essays, profiles, and fiction. The book's jacket illustration was by his friend Charles Addams. In addition to writing millions of words over the years for The New Yorker, Gibbs served as an editor of fiction and non-fiction for the magazine, polishing the work F. Scott Fitzgerald, John O'Hara, and John Cheever, among others. O'Hara became a particular friend of Gibbs and borrowed Gibbs' name for the fictional "Gibbsville" location of many of his stories. Vinciguerra's collection includes Gibbs' cranky but incisive "Theory and Practice of Editing New Yorker Articles," thirty rules for editing which start with -- "Writers always use too damn many adverbs." Gibbs is one the few major theater critics to write a successful play for Broadway. His comedy Season in the Sun, directed by his friend Burgess Meredith, about a writer and his family spending the summer on Fire Island, ran for the entire 1950-51 season. Vinciguerra told TCR that he believes that Gibbs hasn't been as well remembered as other New Yorker writers of his time such as E.B. White and James Thurber "because he was so frequently biting and bitter. He wasn’t always that way; his positive reviews, much of his “Notes and Comment” oeuvre, and some of his short stories are quite poignant and heartfelt. And he was often just plain funny, as opposed to mocking. But Gibbs came alive most vividly when he was in attack mode, tearing something down. That kind of bile doesn’t always endear you to posterity...I compare Gibbs to Evelyn Waugh in terms of being an acquired taste." Vinciguerra concedes that the importance of The New Yorker and just about all magazines has waned in recent years. "In a world where Newsweek is about to cease print publication, and everyone’s mother is a blogger, magazines are in trouble. 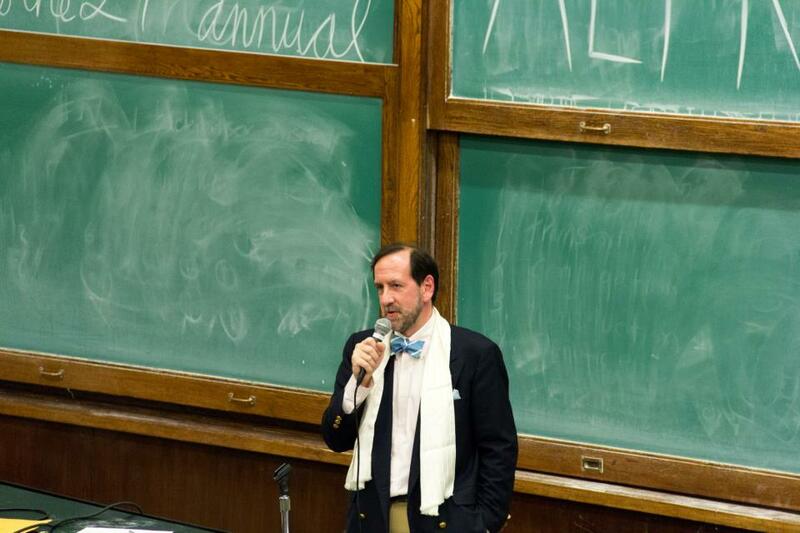 The New Yorker is no exception," he told TCR. "It just doesn’t seem to play the same vital role that it once did in the lives of people who profess to be informed, does it? And that's not unique to The New Yorker. 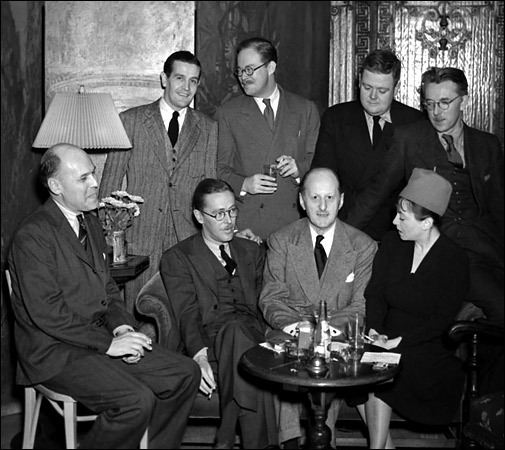 It used to be that you didn’t dare hobnob with your literate friends if you weren’t up on the latest Dwight Macdonald essay in the New York Review of Books or Tom Wolfe tour-de-force in Esquire. But that hasn’t been true in decades. Nowadays, there are just too many voices and kinds of media competing for our attention...That being said, I think The New Yorker is as good as it’s been in a while, largely because David Remnick is its first editor since Ross who came from an intensive newspaper background. His judgment about what constitutes good nonfiction, humor and criticism is sound. If nothing else, it’s no coincidence that he’s been in charge longer than Bob Gottlieb and Tina Brown combined." Asked if there is a Gibbs of today, Vinciguerra told TCR -- "If you’d asked this question twenty-five years ago, I’d have readily answered that some of Gibbs’s voice could be found in the pages of Spy magazine. In fact, in their book Spy: The Funny Years, founding editors Kurt Andersen and Graydon Carter acknowledged that Gibbs was one of their influences. I can think of a couple of people, though, who are at least partial heirs to the Gibbs tradition. P.J. O’Rourke, who wrote a fine introduction to my anthology, is so hysterical, and so all over the map with his subjects, that I always have a smile on my face when I’m reading him much as I do when I read Gibbs. And when Lee Siegel or Jim Wolcott writes a biting, savvy, full-out slam of a book or a performing art or indeed any type of cultural phenomenon, I often feel Gibbs’s funny fearlessness working through them. I hope they appreciate the comparison." Vinciguerra has begun a second book on Gibbs. Its working title is Cast of Characters: Wolcott Gibbs, E.B. 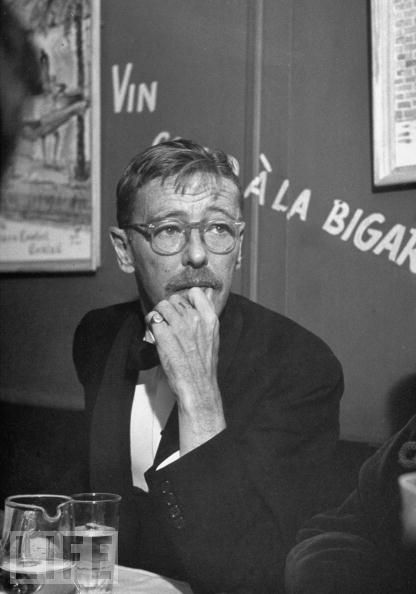 White, James Thurber and the Golden Age of the New Yorker. Vinciguerra says "isn't so much a biography of Gibbs so much as it is a collective portrait of him and his 'circle,' with Gibbs firmly in the center." "Q&A: Thomas Vinciguerra on Wolcott Gibbs." The New Yorker, 11 October 2011. "There at The New Yorker: The Wit and Wisdom of Wolcott Gibbs." The Weekly Standard. 12 December 2011. Rediscovering The New Yorker's Wolcott Gibbs. Talk at the New School with Thomas Vinciguerra, Kurt Andersen, and Mark Singer. Video uploaded to Youtube, 18 November 2011. Wow! Interesting article. Pictures astonized me. These http://aucustomessays.com/ gives a lot of information. Thanks for giving such historical post. Established New York escorts in London agency with 100% genuine escorts, brand new to escorting. Available for incalls, outcalls and social events.Book by the hour or longer. mengodah kali. bagus dan Salam sukses ya. jangan lupa mampir di Agen Judi Online Terpercaya Maxisbola piala dunia terbesar dan terpercaya. banyak permainan. dan hadiah nya smart phone keren. dan bonus hingga mencapai 100% tunggu apa lagi gan. mari merapat dan daftar kan diri anda. di tunggu ya gan.